This Mandatory Declassification Review contains correspondence between President William J. Clinton and French President Francois Mitterrand, April 1993 through May 1995. 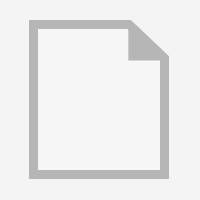 This Mandatory Declassification Review contains material on correspondence between President Clinton and French President Francois Mitterrand between January 20, 1995 and May 17, 1995. 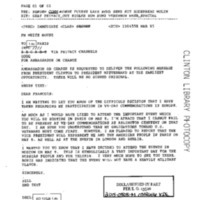 Materials include a March 19, 1995 cable transmitting a message from Clinton to Mitterrand regarding participation in V-E Day Commemorations.